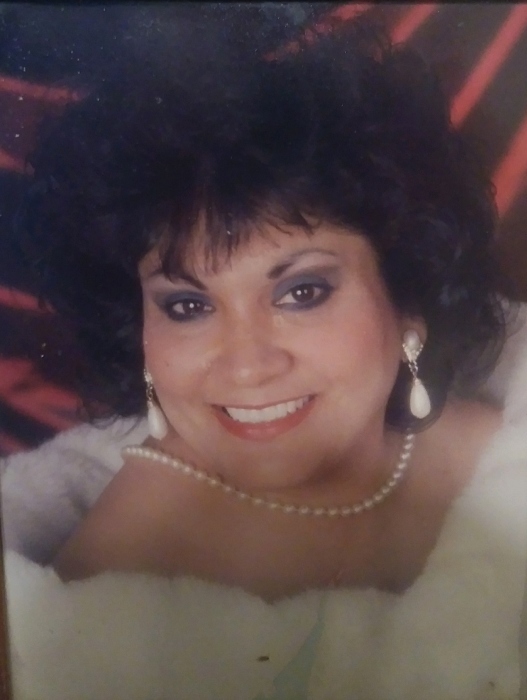 WESLACO – Sylvia L. Pimentel, 59, passed away Thursday, September 6, 2018 at Doctors Hospital at Renaissance in Edinburg. She was born May 15, 1959 to Guadalupe, Sr. & Santos Lopez in Weslaco, TX. Sylvia is survived by her son, Domingo (Grecia) Fernandez; brothers, Javier (Pamela) Lopez, Noe (Lourdes) Lopez, Guadalupe (Rosie) Lopez, Jr., and Robert (Norma) Lopez; sisters, Alma (Juan Carlos) Martinez and Olga (Jaime) Reyes; brother-in-law, Rey Robles; and grandchildren, Isabel Jolean Fernandez and Miranda Amber Fernandez. She is preceded in death by her parents and sister, Lesvia Robles. Viewing will be held Saturday, September 8, 2018 from 1:00 p.m. to 9:00 p.m. and Sunday, September 9, 2018 from 1:00 p.m. to 9:00 p.m. with a Holy Rosary at 7:00 p.m. both days at Cardoza Funeral Home Chapel. Viewing will continue Monday, September 10, 2018 from 8:30 a.m. to 9:30 a.m. at Cardoza Funeral Home Chapel. Funeral Mass will be held at 10:00 a.m. at Our Lady of Guadalupe Catholic Church in Weslaco. Interment will follow at Mercedes Memorial Restlawn Cemetery in Mercedes.